Do you go to a small church? If you call Truth Fellowship Live (TFL) your home church, then indeed you go to a small church. Unfortunately, much of the current church environment within evangelicalism scorns the idea of small churches. The focus of most literature on the local church ministry has been toward church growth. In fact, such concepts as “the missional church,” “the emergent church,” and the “church growth movement” all seem to focus on getting more people into the seats of the local church. These materials seem to suggest that the small church is deficient and ill-equipped by definition to be stewards of God’s great Gospel of grace. These movements thereby compel the small church to be better by being bigger. My personal experience is that this is the attitude within most evangelical churches in our society. I might even go so far as to say that people would rather stay in the large church than attempt to minister in a small church because they desire the “programs” in the large church and prefer not to be serving in the grass-roots ministry of the small church. Regardless of why people tend to shy away from the ministry of the small church, such churches are uniquely equipped for ministry success in our time. As I was considering the place for small churches in ministry, I came across a post by Brandon O’Brien, editor at large for Leadership Journal. Mr. O’Brien is also writing an upcoming book, The Strategically Small Church. I point out that TFL is a strategically small church. In preparing to move into our new space, we have limited the size of our services to 50 people. Thus, if God so wills that more than 50 people join with us in ministry, we will need to have more services and eventually form other small church groups as satellite churches. We do this because we think that in the case of churches, small is better. O’Brien agrees. He has presented five characteristics of small churches that allow them better leverage for ministry success. “Authenticity” is an important American value. Most church leaders recognize that their church needs to be perceived as authentic if they want people to visit and come back. O’Brien offers two statements to get us thinking about what authenticity means for the local church and why smaller churches are at an advantage for putting it to work. Be yourself—the average church in America today tends to want to “glitz up” their worship service. It seems, however, that the more glitzy something is, the less people trust it. Therefore, the more “professional” worship services at larger churches can turn off some worshippers who are looking for a more authentic worship experience. At TFL, for obvious reasons, we have very simple and straightforward worship and emphasize the TRUTH of God’s word. Make sure your behavior lines up with your stated convictions—large churches can struggle with this not because they are less faithful, but simply because their size can be a liability. Churches of all sizes claim to be a family of believers, but the larger the church the more likely it is to be run like a business. The common phase I think of in this respect is “doing church.” Small churches, like TFL, more often truly function as a small family. In the small church, everyone knows and needs the others in attendance. The success in large churches is often attributable to having the resources to offer a little something for everyone. Smaller churches often do not have the financial resources or the volunteer pool to run a broad set of “church programs.” But this is not necessarily a problem. Instead of running a multitude of “generic programs” the small church is able to focus on one or two programs specific to the unique needs of the community. Thus, the small church congregation can benefit from learning to value depth over volume. Since the small church has limits on the number of programs it runs, then the church’s ministry will have to come from its members. This means that the small church must equip its members to minister. Of course this is the primary reason people don’t want to get involved in a small church—involvement in ministry is time consuming and can be a very scary ordeal. Empowering and releasing members to ministry in the community requires that the church leadership know the congregation well enough to know what they are passionate about, gifted for, and already involved in. Thus, this strategy for ministry points to one, inherent strength of the smaller congregation—the leadership knows the members intimately and can direct them to uniquely minister in the community. In a world that often segregates their people; the small church tends to integrate across age groups. Everyone is important in the small group. Statistics demonstrate that nearly 80% of young people who grow up in church and youth programming end up leaving the church by the time they reach college. Why? Perhaps they simply drift away or they see that church is not essential to their lives. However, research also shows that those young people who have had meaningful relationships with other adults in the church besides their parents tend to seek a church home after high school. In a small church these relationships become natural. In addition, those who were given opportunities to serve younger children in their church were also more likely to view the church as important to their lives. Thus, intergenerational relationships within the church are an important factor in making sure young people keep the faith. Though many leave the small church because the children and youth programs don’t appeal to their kids, there is a strategic way for the small church to capitalize on intergenerational relationships. This is done not by providing more exciting age-specific ministries into the church; rather, by bringing the generations together. Thus, at TFL our plan must be to look for ways to develop relationships across generational lines in our worship service, Sunday school, and service projects. For this type of effort to be effective, the rule becomes “the smaller the church the better.” The generations in large churches have few opportunities to intermingle; but, as O’Brien states, “in smaller churches, opportunities abound. 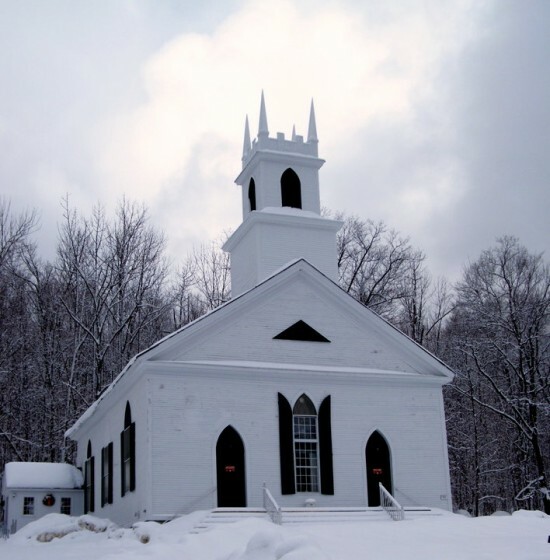 According to research, the largest churches attract a fairly well-defined demographic. The average age of attendees within a megachurch is 40. Nearly 1/3 of them are single, and they tend to be more educated and wealthier than the average members of smaller churches. So who reaches the people who fall outside this demographic? You guessed it—small churches. Small churches can become implanted into the fabric of the local community and reach people on the margins—those people who often find large congregations unattractive. This places TFL in a unique position. Our new space is in a shopping mall near high density housing. We will have opportunity to minister in an area that doesn’t have many nearby churches. Those in that part of town are loved by God but often neglected by the “general church” population. We have an opportunity to minister where others have neglected. What does this mean for TFL? Smaller, nimbler congregations are the only way to reach people who live in the margins of society. Of course, this means that at TFL we must rethink our idea of ministry success. As a small church we may not grow numerically, but fostering authenticity will make us a safe place for the disillusioned. Our streamlined programming and our people-powered ministries will help make TFL a more integral and visible part of our local community. Even as small as TFL is, we have great intergenerational relationships. We have a brand new baby—who was held this evening by one of more senior members. This may not make TFL very glamorous, but it will build character into our young people. Our lack of size is not a handicap but a blessing. We are in the unique position to equip our people to participate in Kingdom growth—we get to watch how (using O’Brien’s words) God can take our mustard seed and turn it into a great harvest for His glory. TFL is getting ready to launch a new ministry into the Bismarck/Mandan community. For those who are already involved, tighten your seat belts. For those who are not yet involved in this exciting ministry, come and join us—see how God works through TFL. No Replies to "Small Churches"